Ama Dablam Dispatch: October 20, 2015 – Brent Bishop and Team Arrive in Kathmandu! 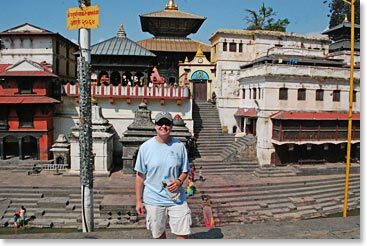 October 20, 2015 – Brent Bishop and Team Arrive in Kathmandu! 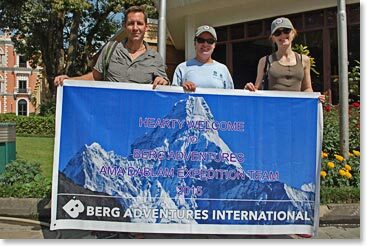 The Berg Ama Dablam team is in Kathmandu and getting ready to leave for the Khumbu in the morning. Except for some baggage mishaps in transit, it’s been smooth sailing. Kathmandu is amazingly quiet between the Dashani holiday, tourism down due to the earthquake, and the Indian fuel embargo; there is little traffic on the streets and the air quality is better than I’ve seen in over 20 years. While this is great for our team, the people of Kathmandu are really struggling in the wake of the earthquake and now the latest geo-political mess with India. 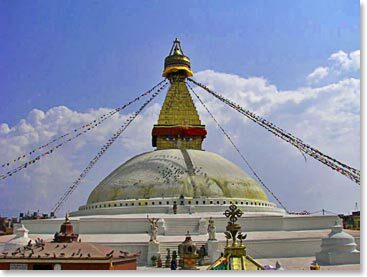 One wonders just how much more the people of Nepal can take, but despite the continued struggles, there an ever-present optimism exists. 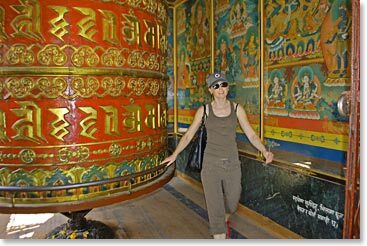 As for us, it’s been business as usual with lunch at Fire and Ice, seeing old friends in the Yak and Yeti, and last minute shopping in Thamel. 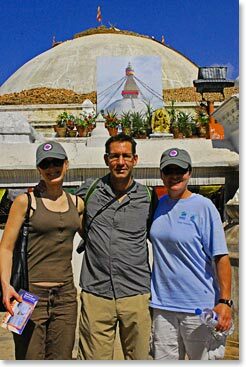 This morning the team was up early and off to the temples of Swayambhu, Pashupatinath and Boudhanath. 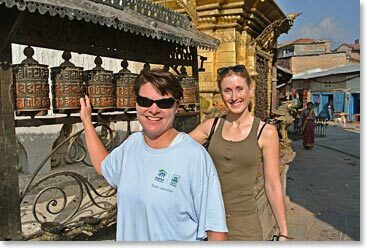 Clear weather and small crowds made the morning quite pleasant and gave us a glimpse into the rich Hindu and Buddhist culture that defines the country. Butter lamps were lit, prayer wheels spun, and time spent with the Sadu holy men. These are world heritage sites are a thousand years older than when Columbus arrived in the Americas. 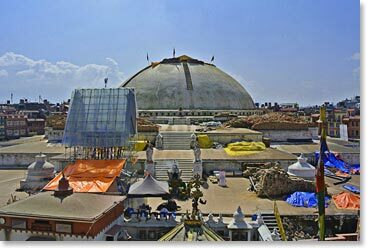 The earthquake had the most effect on Boudhanath and it’s going to be a long process of rebuilding. 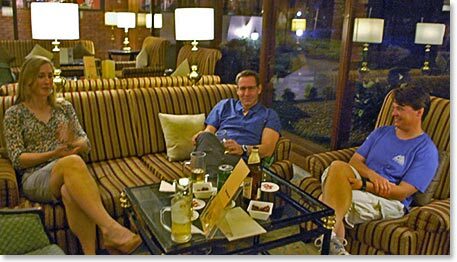 Tonight we have a team dinner and then it’s an early morning flight to Lukla to start the trek.